This time it's gifts! I broke my sewing machine sewing straight lines for this one, but luckily enough was able to get it all fixed in time to wrap these lovely presents. I followed this diy from an amazing blogger that used to live in Kansas as well. I find myself visiting her blog quite often. I then made some cute custom labels for them. I will be making more of these in the future. 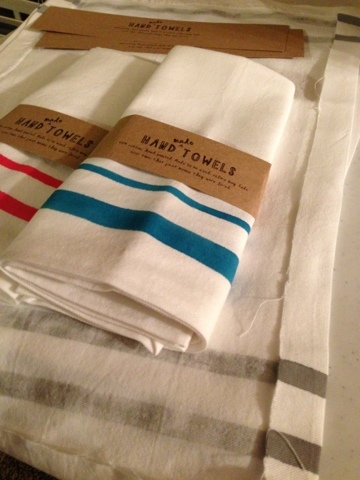 I used duck cloth instead of linen as her diy says only because linen is not that easy to find in Kansas in December. The people in fabric stores looked at me like I was crazy. When I did find some it was unwilling to pay $18-29/yard! It was in Lawrence and made partially from hemp, which sounds lovely but not my budget. 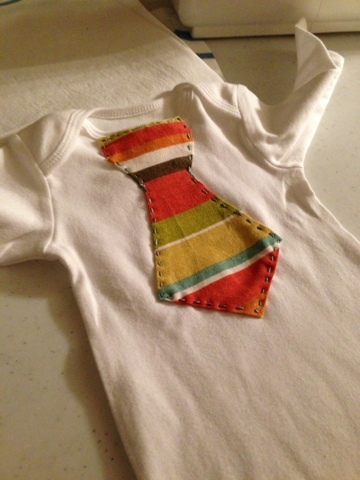 Then I made manly onesies for the future baby Briscoe, working on a matchy one for brother. It is very adorable, but not as easy to make as I thought. Not 100% sure it will survive a wash, but will make for a very cute photo opportunity.